Does flossing make my teeth grow further apart? Does using a hard toothbrush make my teeth cleaner (Part 2)? Will I surely lose teeth as I age? Why do we lose teeth as we age? Can toothache be ignored until it goes away? Should I use a toothbrush cover? Bothered by gaps between teeth? Should I brush my teeth right after eating? Must I visit the dentist every 6 months? 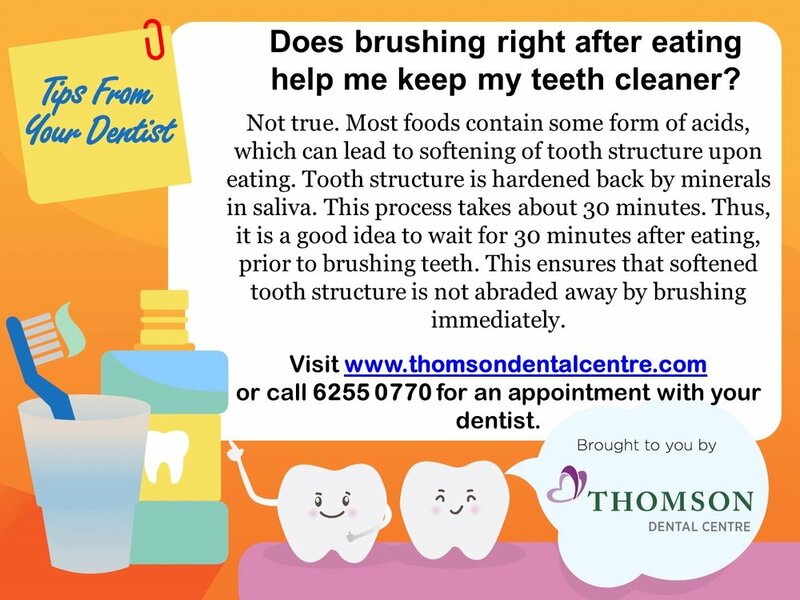 Does brushing right after eating help me keep my teeth cleaner? 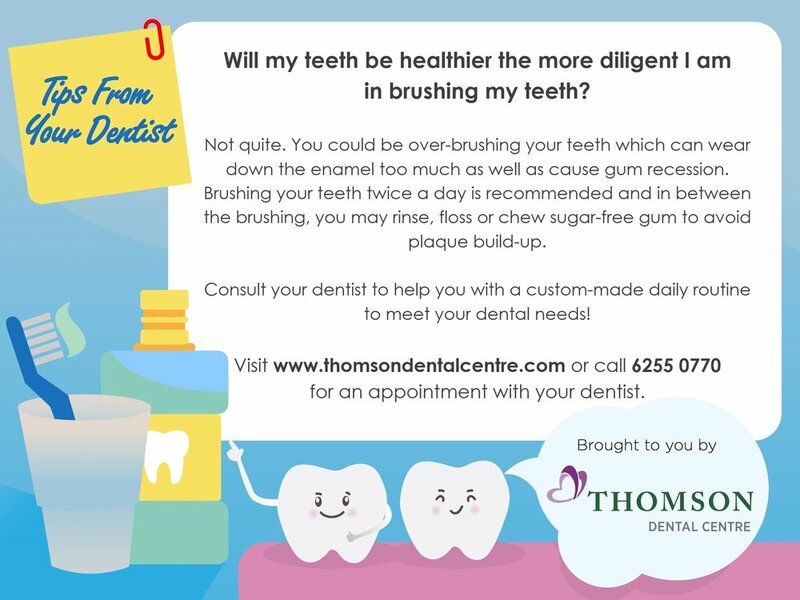 Will my teeth be healthier the more diligent I am in brushing my teeth? Does having bad breath mean I need to improve my oral hygiene routine? 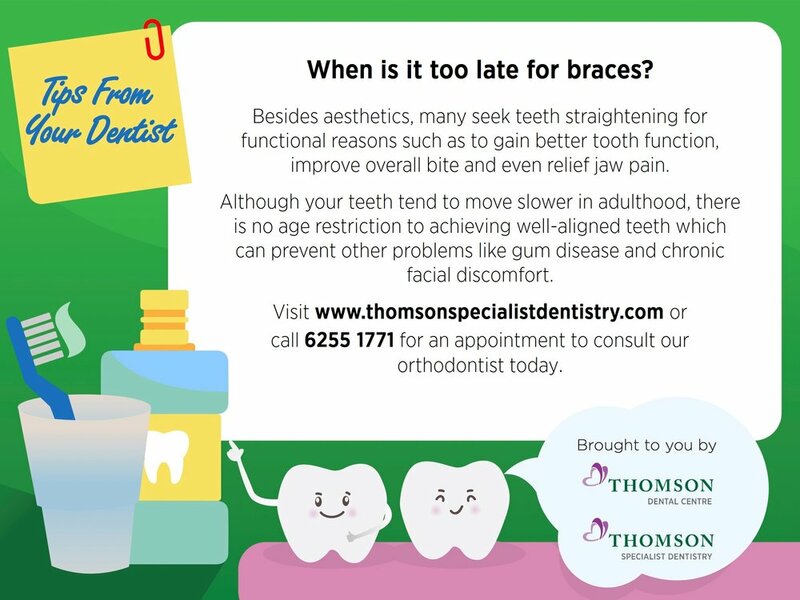 When is it too late for braces? Why brushing alone is not good enough? Does using a hard toothbrush make my teeth cleaner (Part 1)? Must I always remove my wisdom teeth? Should I stop brushing and flossing if my gums are bleeding? Too much sugary food is bad for your teeth? Is it bad to share a toothbrush even if it is washed? To rinse with mouthwash or not?